Ankara July 14 (IANS) Turkey s two-year-long state of emergency is expected to be lifted on July 18 presidential spokesman Ibrahim Kalin has said. "As for now it is foreseen that emergency rule could be brought to an end on the 18 " Xinhua news agency quoted the spokesman as saying here on Friday night after the first meeting of the new cabinet. Turkey declared a state of emergency which has been extended seven times since July 2016 after an attempted coup by a faction of the military which left around 250 people dead and more than 2 000 injured. Kalin said that counter terrorism efforts will continue and if Turkey is faced with an extraordinary threat a state of emergency could be declared once again. 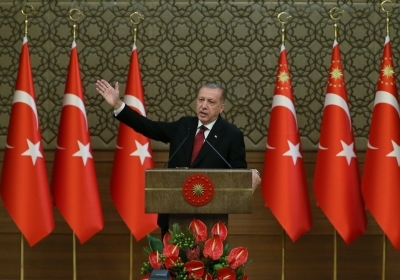 On Monday President Recep Tayyip Erdogan took oath to begin his second term.